In this report , we did a detailed analysis of Import of Denim , which includes Denim Apparel for both Men and Women , into USA from CAFTA countries from the year 2015 up to second quarter of 2017. CAFTA refers to a Free trade agreement between US and some of its small neighboring countries like Costa Rica, El Salvador, Guatemala, Honduras, Nicaragua, as well as the Dominican Republic. Trade between CAFTA countries and US was about $28 billion in 2016 and touched about $22 billion in 2017 till September. Under the bilateral free trade agreement, the CAFTA-DR, qualifying U.S. yarns and fabrics enter the CAFTA-DR region duty-free. This duty-free market access allows for increased export opportunities for U.S. textile and apparel manufacturers. In addition, because the Agreement has no termination date, investment in the textile and apparel sector in the region is expected to continually grow, promoting increased trade and increased exports to the CAFTA-DR market. Besides, the yarns and fabrics produced in these countries will also ensure duty free access in the US. A relatively lesser known rule also allows Mexican denim fabrics upto 20 million sq mtr to be used under Cumulation rule. 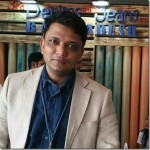 Besides, the SHORT SUPPLY PROCESS enables the body to decide if any of the fabrics can also be sourced from third countries in case of shortage of availability in these countries .